C.E.T. 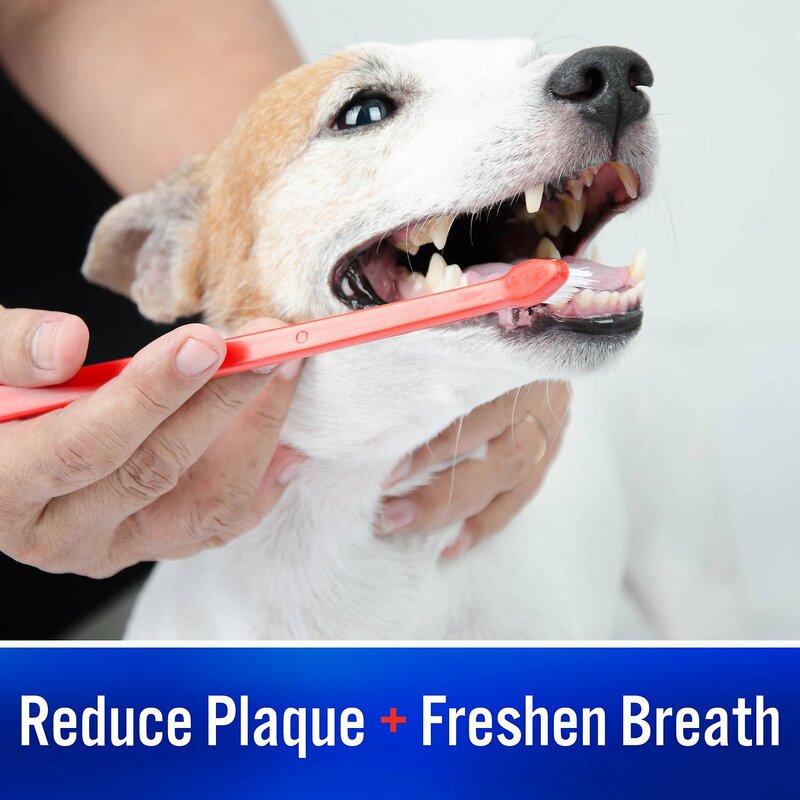 Toothpaste is specially formulated to be safe, effective, and appealing to your dog or cat. Contains the C.E.T. Dual Enzyme system to inhibit the formation of plaque. Formulated specially for pets, they contain no foaming agents and are meant to be swallowed. Flavors are well accepted by pets and make brushing easy. Enzymatic toothpaste specifically formulated for dogs and cats. Specially developed to be safe, effective, and appealing to your dog or cat. Contains the C.E.T. Dual Enzyme system to inhibit the formation of plaque. Doesn’t include any foaming agents which means this toothpaste is meant to be swallowed. Since it’s great for dogs & cats, it’s an ideal supplement for multiple pet households. Keep out of reach of children. Store at controlled room temperature. See carton flap for lot # and expiration date. Glucose Oxidase, Lactoperoxidase, Sorbitol, Purified Water, Dicalcium Phosphate Anhydrous, Hydrated Silica, Glycerine, Poultry Digest, Dextrose, Xanthan Gum, Titanium Dioxide, Sodium Benzoate, Potassium Thiocyanate. Use a soft-bristled toothbrush such as the C.E.T. Dual-Ended Toothbrush. Apply daily or as directed by your veterinarian. Your veterinarian may give you specific directions; follow this professional advice closely. This poultry flavor toothpaste is wonderful! My two Yorkies who are so so so picky, they think this is a treat, which makes it easier to brush their teeth! I begin by letting them think it's a treat, they sniff it, give them a little taste, and of course they want more, and then that's when I begin to brush or clean their teeth! While it's difficult enough to get the toothbrush inside Tater Tot's mouth, a Mom's duty is to be sure pup's teeth are properly taken care of! Trying to lessen tartar; trying to maintain healthy gums so when she gets old, she won't lose her teeth. Using a flavored paste is EXTREMELY helpful! Tater's favorite part of the brushing routine is licking the toothbrush afterwards. I can't imagine brushing MY teeth w/ chicken flavored paste but if chocolate flavored was available in people toothpaste, well hmmm...I'd try it! My chocolate is her chicken!! Having their teeth brushed is not high on my abys' list of favorite things to do, but this toothpaste appears to do the job. They developed tooth/gum issued as kittens, but once we started brushing daily and using Virbac's toothpaste, those issues went away... as did their smelly breath. One cat out of two loves the flavor of the tooth paste. I’m trying to keep his teeth clean. I’m still working on the one year old male cat to see if he will let me brush his teeth. Maybe then.... I will save some money at the vet for teeth cleaning! I purchased this after our veterinarian recommended it. I thought brushing my dog's teeth was going to be a real battle, but he loves it! I just say, "let's brush your teeth ", and he comes running. His breath is much better than before. I open it last month, and the beginning part the paste became greyish already. I dare not use it on my pets because I'm not sure it went bad or not. The other one I purchased almost at the time works quite well on my cat. We have used Virbac's C.E.T. toothpaste for all our dog's life; he is now 17 1/2 years old & has the healthy gums & teeth of a 2 year old! Our vet has never seen such a healthy mouth in an older animal. This toothpaste comes in various flavors. Our dog loves to lick from the tube just for fun! I have been using it for years . My dog loves the taste but unfortunately not the brushing so I haven’t been that diligent. I don’t really know if it helps as I haven’t been consistent and she’s had to have 3 teeth pulled. We love this toothpaste and especially the price. Kobie loves the poultry flavor, so brushing is made easy. We will continue to purchase this item when needed. Will gladly recommend it to family and friends. As well as, all other Chewy products.